Your trip to the Dominican Republic should be nothing short of quiet and relaxing, and Casa Kimball will help redefine the word vacation for you. Offering the seclusion you crave along with the contemporary amenities you demand, this eight-bedroom space is not only roomy enough for all of you, but also lavish enough to make sure you never want to be back in the real world again. Complete with a personal chef to make sure you eat better on vacation than you ever have in your life, as well as amazing ocean views, Casa Kimball is situated on three full acres to give you room to roam during your next holiday. Casa Kimball is an exceptional Caribbean destination. 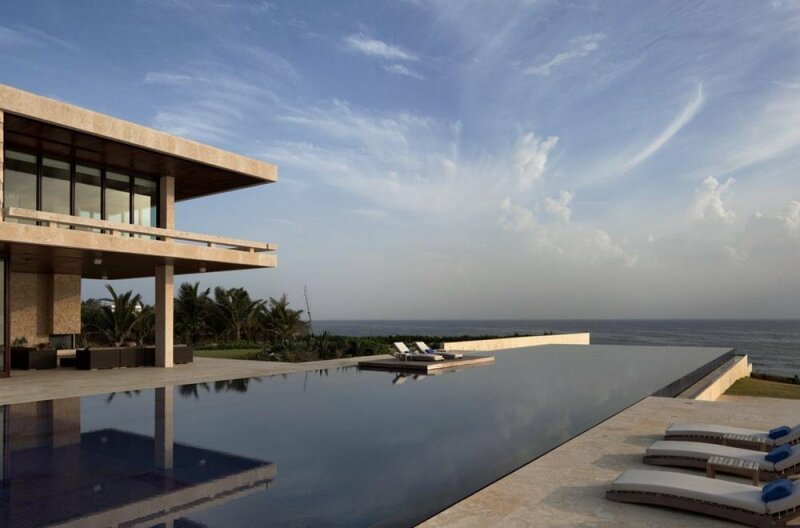 A private villa located on the north coast of the island of the Dominican Republic, this is a contemporary villa that sanctions the Caribbean sunlight and breezes to flow through the open spaces and a particularly private oceanfront landscape. We know luxury villas, and this is one of the best tropical vacation destinations available anywhere. Can arrange an air conditioned taxi van for all arrivals and departures of their guests for an additional charge. All rates include access to all the features and amenities of the luxury villa rental. The daily flat rate includes the shopping service, preparation and serving of 3 excellent daily meals plus the cocktail hour snack service and all non alcohol beverages, fresh juices and bar mixers. We include a complimentary starter bar for the arrival as well. EVERYTHING encompassing food and beverage service during your stay, including special requests and quality Imported produce. We also include service of our house Cabernet Sauvignon and/or Chardonnay with dinner. Guest Meals and Beverages Adults (age 12+): US$75/pp/ day Children (age 4-11): US$30/pp / day Toddlers (under 4): FREE Additional transfers, spa services, activities or excursions and additional alcohol.